But don't just take our word for it, read what actual customers have to say about us in our very own "brag book" to see why we feel good about coming to work every day. Your carpet repairs are like our HI-FI equipment-------- FLAWLESS. Thank you for an excellent job. Tony, Bang & Olufsen , Armadale. 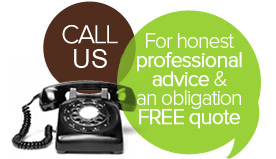 Just thought I'd drop you a line, your website stated your reliable, prompt and totally professional service. What it didn't mention was that, apart from the quality of your work being first rate, you're an absolute gentleman. Can't recommend you highly enough. Thank you for carrying out the repairs at our offices, once again you have done an excellent job. Could not see the joins at all. Amazing job on patch to carpet, unable to identify where patch has been inserted, YOU ARE AN ARTIST! Looks fabulous. Thanks also for the excellent service, called Tuesday, job done by Thursday morning. Please accept my sincere thanks for all your assistance with the drying, relaying and steam cleaning of our carpets after the recent floods. Your immediate response to our request was greatly appreciated. Once again thank you. Jill Flack, Office Manager, ESCOR GROUP. Prahran. One behalf of the school please accept our sincere thanks for re-stretching the classrooms and donating , for no extra charge, your time and expertise to carry out additional repairs required whilst you were on site. We have placed you as a preferred and recommended tradesman in the PTA newsletter and register. All the carpets in the classrooms look good, glad to see the back of those ridges. Should get another few years wear out of the carpet now. Thank you. Thank you for doing such a good job of restretching the carpets in the Church. We also appreciate you fitting in the works to suit the congregation. Have spoken to landlord and he is very pleased with the carpet repairs. They also passed our inspection with flying colours. My huge thanks. Thanks for everything, wonderful job. You have been a great help to me. Angela. Manager. Yarra Valley Psychology. Thank you for fixing our carpet. It looks great. I will recommend you to all our clients. When Rosie recommended you, she told me you were "the man". I have now seen the repair, and she was right. You are "the man" when it comes to carpet repairs! HIGHLY RECOMMENDED. Rick, you REALLY are a LEGEND, that was such an awesome repair you did for me. The agent really was trying to find fault with it, but he couldn't. He ended up taking one of your cards and returning our bond in full! YEAH! Muchas gracias. When it comes to carpet repairs don't waste your time with anyone else it does not get any better than this guy. Thankyou Rick for a top job. Our carpet was burnt when the iron fell on the ground. We found Rick on the internet, the photos on his website showed some of his jobs, and they looked quite good. Contacting Rick was very easy. He asked a few questions, provided a quote over the phone, when we were happy with it he booked us in. He called back when he said he would to confirm the time he would come out. He's workmanship and knowledge on carpet repair was excellent. We cannot see where the repair was done. All I can say to anyone who needs carpet repaired, I hope you have kept spares of the carpet that needs to be patched and it's in good condition, and call Rick! The entire experience was professional and smooth. I want to thank you so much for restretching my mother's carpets. She had a nasty fall earlier in the year, and after an unpleasant incident with another tradesperson she was quite nervous. After you left she phoned me to say what a wonderful job you had done and what a pleasant amicable person you were you put her very much at ease. I have since seen the carpets and you have indeed done a fantastic job. Thanks once again. I should have listened to my wife and gone for quality even though it costs a bit more. The 1st guy did such a bad job. So glad you could come to sort out the mess he made. Thanks for your patience and perfect repair. Thank you so much for your excellent service. We are rapt to have discovered you and look forward to dealing with you in the future! The VCAT magistrate went in our favour, bond returned in full!! Big thank you for being so helpful and supportive . So happy with the out come. So glad I put your tel No. In my phone contacts, because the 1st job you did for me was so good. This one you just completed was just as fantastic, you really are amazing at you job. So happy to recommend you to all my friends. Oh Rick! You are a magician, could not see where you did the repairs, thanks so much. So refreshing and reassuring to meet an old school tradesman who has nailed his profession to a fine art and actually seemed to enjoy his work. Just letting you know my landlord is happy with the carpet repair. Thanks so much for your work. I just wanted to say thank you for doing such a seamless repair job to our carpet. I could not make out where the burn once was. Also the text message that you sent when delayed in traffic was very professional and considerate, Many thanks again. The pot plants left two nasty holes in the carpet, but your excellent work has certainly improved the situation dramatically. Your service was prompt, friendly and most impressive. I am really pleased that I chose you to repair our carpets. I am extremely satisfied, I will recommend your repair service to my friends and colleagues Kim Blackmore. I can see you have been doing this for a long time, it shows, you have mastered it. Thanks for doing a top notch job. I need not have worried so much. The repair has turned out perfect. Thanks you for doing such an excellent repair on my carpets. I was so impressed with your attention to detail, the time you took to explain my options, showing how it was done and the result I could expect. I was not disappointed. Thank you for restretching my carpets. I also wish to thankyou for treating my home with respect and the care you took moving my delicate furniture. Thanks for another fine job, well done. We appreciate your efforts in going the "extra mile" to ensure a perfect finish. It was a pleasure to meet you and have your repair our carpet. Not only did you fit us into your schedule at short notice, you were friendly, informative and efficient. We will be recommending you in the future. I'm writing to thank you for the fast, efficient job you managed to carry out on the bulging carpets I have had to put up with for so long. I hardly believed my living area could be restored to its original slick look, I am really pleased and will certainly recommend you in the future. Thanks for your prompt and professional service. Lachlan- First National Commercial Realestate. Rick, You're a life saver... Well bond saver really. Agent did not deduct anything, bond returned in full. Most grateful for your help. Dear Rick, Thanks for your professional advice and excellent repair. It has turned out much better than I ever hoped. As you know my girlfriend done a nasty iron burn in the carpet, i was thinking there goes my bond money, three other shops weren't interested in repairing it, just trying to sell me new carpet. Luckily i found you and you've worked your magic and done a virtually invisible repair. You've saved my bond and my girlfriend thinks you are a champion! cheers Rick, drop in for a beer. Over the years I have dealt with many trades on behalf of clients- often with frustration, so it is very refreshing to be able to highly recommend the services of Carpet Repair Specialists, Rick Cappell, who is always ready to assist clients in need, with prompt, efficient and reliable service. I wish to convey my sincere gratitude for looking after my mother and repairing her carpet. When you answered my questions and looked me in the eye stating that you would do a first rate job and would treat my mother as well as your own mother, I knew you meant it. She is over the moon. Thank you for repairing the carpet. I was thrilled to see it come out so well. I am sure once I get it steam cleaned you will not be able to notice anything. Again, thank you so much for your skilled workmanship and answering our call for help so promptly. Thank you for an excellent job, its always a pleasure to work with a professional. Thank you for your excellent work, more than happy to use your services. So Glad I found you. Thank you for all your excellent work. It is always a pleasure having you on site. Looking forward to continuing to work with you in the future. Thanks for looking after our clients & the rental team. We always know our calls will get a swift response along with top quality workmanship. Thank you for your continuing support and 1st class repairs. Happy to continue to use your services and recommend you without hesitation. Great effort and results all the time from Rick, The Carpet Repair Specialist, makes for 100% confidence to recommend him to all our clients. Thank you Rick, for another year completed of outstanding work and support to our rental division. Hi Rick , I just wanted to thank you again for doing such a great job. I am REALLY, REALLY happy with it. Rick Cappell, The Carpet Repair Specialist, high standard of workmanship and ethics, always reflects well our own high standards. It a real pleasure to have him on our team of reliable tradesmen. You saved my puppy and me. My beautiful Doberman pup who i left alone for such a short while, chewed up my beautiful new wilton carpet. I was in such a panic, as my husband did not want the dog in the first place. You listened to my plight and came round that very day, and did such a good repair, that once you had finished, I couldn't see it and my husband has never noticed. This will be our little secret! Thankyou so much Rick. Thanks Rick, The repair was awesome! The repair turned out way better than I expected. I am still grinning ear to ear! Thank you Rick. A note of my appreciation of your swift and professional response in attending our offices during the recent flood, I was impressed how this was done without fuss or drama and I thank you for your service. Thank you Rick, you have succeeded where others have failed. TWO carpet tradies we had previously sent to inspect the carpet and told us tat it was beyond repair. We will certainly have your contact details handy should we need your services again and will recommend you to our Melb. friends. Also Joanne told us she will add you to her list of tradies Metropole rentals relies on for maintenance. Once again thanks for a job well done. So grateful, for an excellent repair to my bleached carpet. I would recommend you to anyone! Great job. Thanks! I called Rick and he was polite and very organised. Agreed to come and do my small repair job for a reasonable price within a few days. Thanks Rick, for your repair. I was worried my dog had ruined the carpet I was amazed at the repair. We can not tell where the damage was. Rick, thanks again for your prompt service. The stain from our fish tank was a big worry and concern. As the cost to replace the carpet was over $1000, your repair is not at all visible at a fraction of the replacement cost. Cheers! Not only did you turn up on the day and within the time slot promised, the carpets have been re stretched and drum tight, for a fair and reasonable price. I could not be more satisfied. I have no hesitation recommending you to anyone. It was a real concern when our little puppy chewed the corner of the carpet in the lounge, your friendly and professional service ensured we got our bond back!! Thankyou so much. Thanks once again, for your prompt and highly professional service I can't believe the great job you did. Hi Rick, you've done an ace job fixing our damaged seams. We were worried about tripping! Steam cleaning and re-dying did not work. You and your zany machines certainly did! Problem solved. Many thanks. You promised a fast and efficient repair service, you delivered above and beyond what I expected. We will be using you again. Thanks Rick, great job!! Could not see the repair at all!! Really appreciate your help. Hi Rick, The repairs look great, thanks so much for doing them today. Rick, YOU'RE A STAR! Super happy with the work.